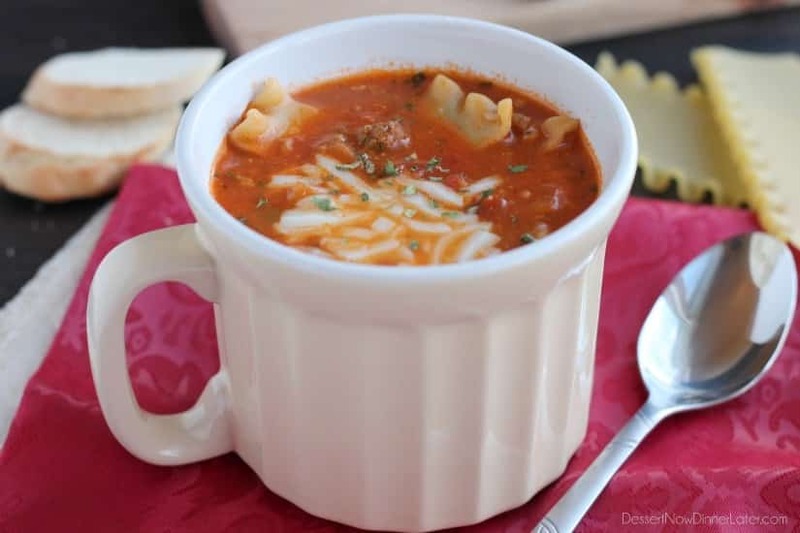 Lasagna Soup - Dessert Now, Dinner Later! If you put one soup on your “make soon” list, make it be this one! I have seen variations of this recipe all over pinterest, but I searched out something that I could tell was going to be good, and easy, and this is it! 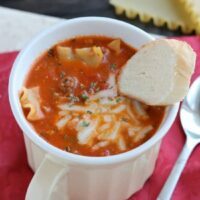 This lasagna soup, is thick, creamy, and with the sausage and fennel, tastes just like a meat lasagna! I inhaled mine and wished I would have eaten a bit slower. It was SO good! Another thing I love about this soup is that it’s fast to make! This one is just over 30 minutes to prepare, which isn’t quite under half an hour, but it has very simple steps to make it. Plus, the longer you simmer a soup, the more flavor you get! It’s true! 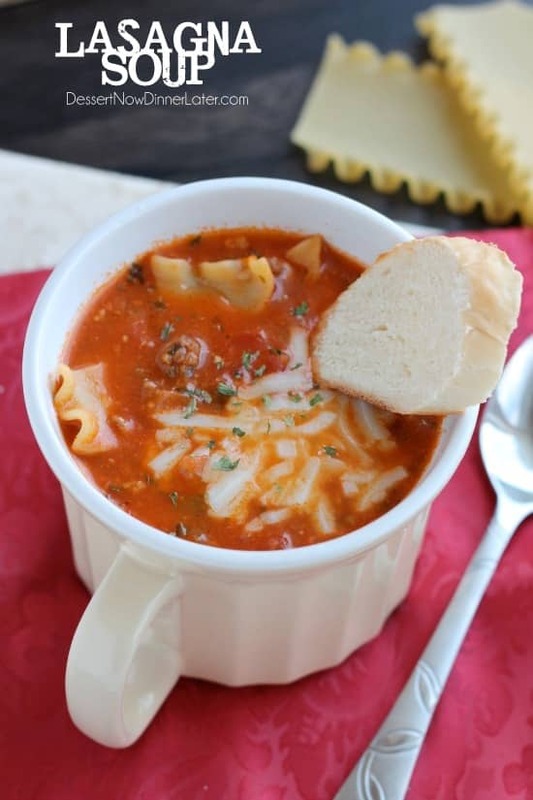 This Lasagna Soup is super hearty and definitely warming for those cold weather months! 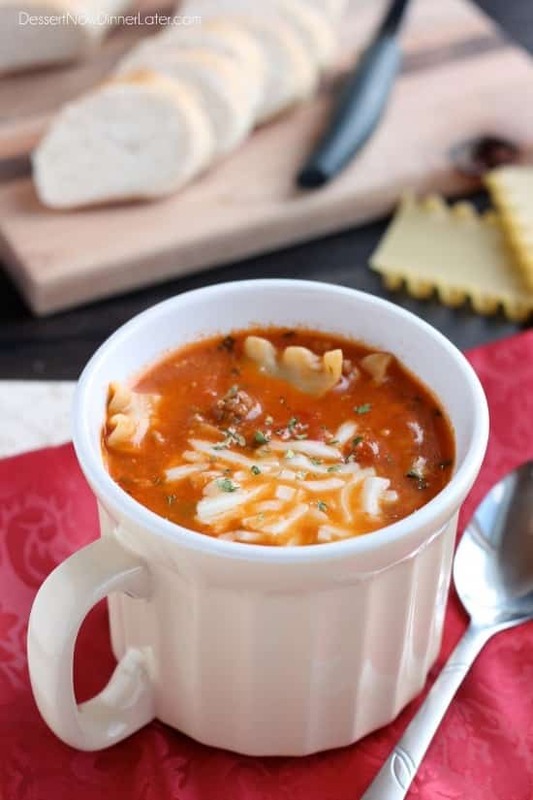 If you like soup as much as I do, make sure to add this to your menu rotation! In a large stock pot over medium heat, cook sausage, fennel, onion, bell pepper, and garlic. Heat until sausage is fully cooked and vegetables are tender, about 5 minutes. Drain any fat and wipe out the pot with a paper towel; if the fat won't drip off, I place the meat in a bowl with a paper towel underneath and on top, to soak up the grease. Return meat mixture to the pot and add the chicken broth, tomato sauce, diced tomatoes, salt, and crushed red pepper. Simmer for 20 minutes with the lid on. 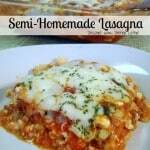 Add broken pieces of lasagna noodles, bring to a boil, and cook 10 to 12 minutes; until tender. Remove from heat, and add basil, parmesan, and mozzarella cheeses. Stir until cheese melts. Serve hot. For a super smooth tomato soup, blend the chicken broth, tomato sauce, diced tomatoes, salt and crushed red pepper together with a blender or in the pot with an immersion blender. Then add the meat and continue cooking as explained. Okay, I am putting it on my must make soon list! This sounds delicious, and the perfect winter warmer! Pinning now! I hope you love it as much as we do!!! Thanks Tina! You have convinced me. I need to make this soup! It’s the perfect meal for the cold weather we’re having. Pinning! I can’t wait to make this again! When my kids eat something, it’s extra awesome! Mmm, totally going to make this! 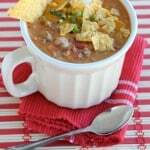 I love finding new delicious soup recipes – especially ones that are easy to put together. Looks so tasty and comforting! The flavors are awesome for such a simple recipe! I hope you love it! Amber, this soup looks totally awesome! 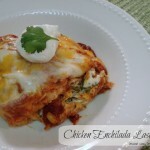 Lasagna is one of my favorite dishes so I’m sure I’m going to love this! Great idea! 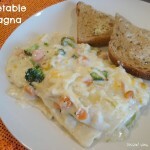 And this is so much easier than layering a lasagna, but tastes just as good! Enjoy! Looks delicious, Amber! I’ll definitely add it to my to-make list! Thanks Julie! We sure enjoyed it! It’s probably one of the only non cream based soups I’m just crazy about! Thanks for pinning Sarah! I need to feed 15 -20 people on this coming Monday. Would a double batch feed that many or should I triple the recipie? I would triple the recipe for sure. Enjoy!